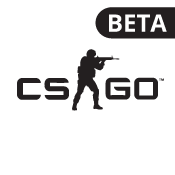 Counter-Strike: Global Offensive (CS:GO) is a multiplayer first-person shooter video game. It is the fourth game in the Counter-Strike series. Counter-Strike: Global Offensive expands upon the team-based action gameplay that it pioneered when it was launched 12 years ago. The game pits two teams against each other: the Terrorists and the Counter-Terrorists.